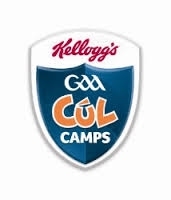 Bookings now being taken for the Brian Dillons GAA Summer Cúl Camp which will run from 29th Jul to 9th Aug. 2pm to 5pm each day. Cost of €55 for 1 week and €100 for 2 weeks includes shorts, jersey, socks and gear bag. Boys and girls aged 5-14.